He is the only son of Prince Andrew of Greece and Denmark and Princess Alice of Battenberg. He was born on the dining-room table of his parents’ house in Mon Repos. He joined the Royal Navy and graduated from Royal Naval College as the best cadet in his course. In January 1940, Philip was appointed as a midshipman, and he spent four months on HMS Ramillies protecting Australian Expeditionary Force in the Indian Ocean. He became the first President of World Wildlife Fund – UK (WWF) and served it from 1961 to 1982. In 1934, Prince Philip first met the Queen (then Princess Elizbeth) at the wedding of Princess Marina of Greece and the Duke of Kent. The courtship of the Duke of Edinburgh and Queen Elizabeth II lasted really long. The nuptial knot between Philip and Queen was tied on November 20, 1947, and later, they were blessed with three sons and one daughter. Their wedding was attended by royals from around the world, and relished by 200 million people on TV. He designed a bracelet on his own for his wife as a wedding present. Surprisingly, Duke is Queen’s distant third cousin. Despite being so rich, he hated doing wastage and once asked his tailor, Savile Row, to alter a pair of trousers he first wore 52 years ago. 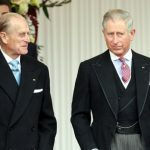 He has eight grandchildren – Peter Phillips, Zara Phillips, Prince William, Prince Harry, Princess Beatrice, Princess Eugenie, Lady Louise Windsor and James, Viscount Severn. 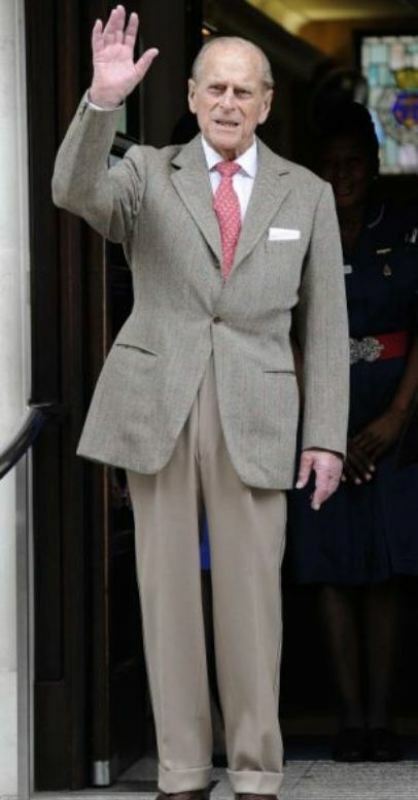 Prince Philip is the Duke of Edinburgh, the Earl of Merioneth and Baron Greenwich. He is actively passionate about Painting and Art. Philip relishes doing fishing on vacations. He has an excellent taste for wine and loves expressing his views by writing it on the bottle. Philip loves Carriage driving to such an extent that he never misses a chance to ride it. He loved playing Polo and was a master at it for many years. The loving couple Duke and the Queen celebrated their 70th marriage anniversary on November 20, 2017.